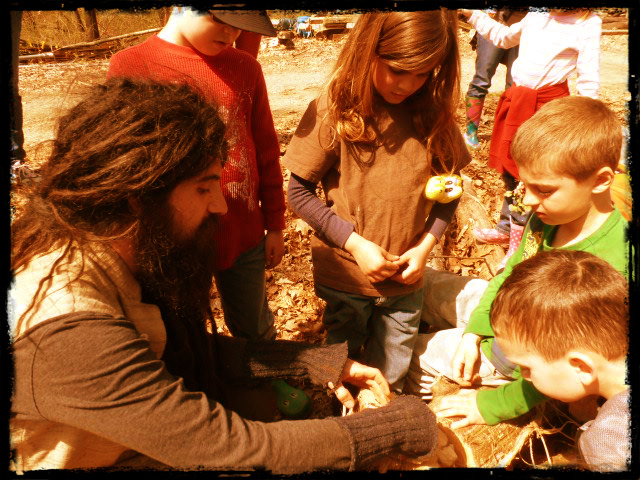 How did our ancestors know when and which plants to harvest, how much to take, when and where to replant, and how to live within the ecosystem as an expressions of harmony within the natural world? 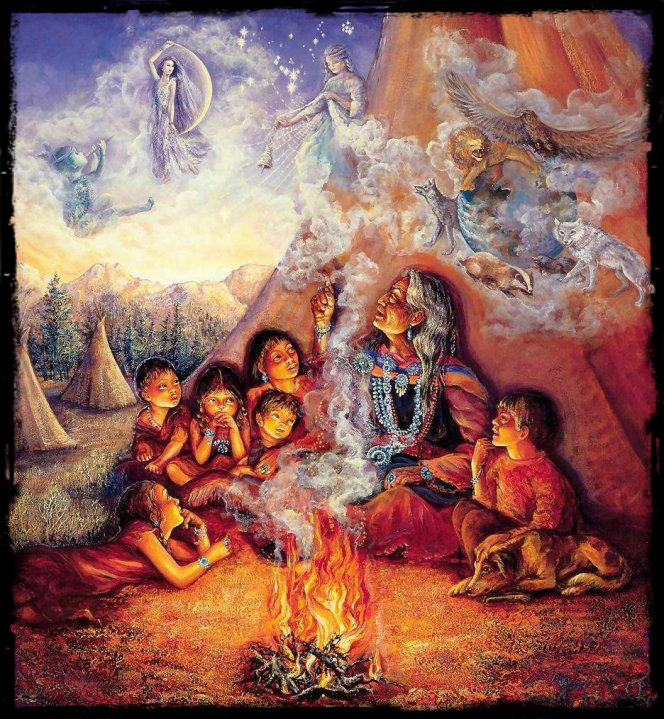 As we ask the remaining elders in the world, they all say that they are taught by mysterious forces within their life that they access through heightened and altered states of consciousness through drumming, dance, ritual, dreams, work with plants and animals, and celebration of life. My life path is a journey towards this dance of remembrance and recollection, to the feet of the elders toward whatever remains of these traditions who embody this practice; toward the spirit of the connectivity with Nature. A last living link that our modern culture so desperately needs, and yet has become so afraid to touch directly. My life walk is to work toward preserving this calling and to invoke those paths, to see if I too can tap into what our ancestors access-the Gaian grid- and do my part in sharing this message through media. With my passion for ethnobotany and documentary filmmaking, I seek to carefully and ethically document and learn the still living practices of our paleolithic hunter gathering ancestry and skillset, to help revive the relevance of the tribal cultures mindset and viewpoint, to learn foraging, hunting, herbal, and shamanic practices, and to learn and take part in performing rituals and ceremonies to restore balance with what is taken from the ecosystem. These ancient rituals tie us to the roots of humanity, yet are at threat of extinction. Can we too learn to cultivate the primitive mind to know what these cultures have discovered from the inside? It is my vision to serve as a bridge of their survival and nature knowledge to the western world; to cross compare these cultural perceptions and values, and teach people of the value of these skills. – 2012, Seeking the Medicine – India – Currently compiling and identifying all of the plant species cataloged, as well as writing the stories of my journey traveling and foraging throughout India for 3 months. Within this journey, I spent time with amazing teachers, saw familiar plants everywhere, and learned lots of the cultural and ethnobotanical views on plants in india, their spiritual connections, and their living survival skills that they still carry. Having been my first time out of the country, I was truly blown away by how many plants; foods and medicines, I recognized from my time foraging in the US. In Summer of 2014 – Filmed my first pilot episode called “Hunting the Medicine; Stalking the Wild Spirit”, A 2014 journey to North Carolina for 2 months where I packed my car and hit the road to learn from elders and teachers with the plants guiding the way. And to strengthen my self reliance of foraging and survival skills while traveling throughout the mountains. I filmed and documented continually as I met these deep connections. In Nov. 2014 Seeking the Medicine; Colombia, – I am in the early stages of compiling all of my writing and documentation of the most recent journey I took photographing plants, documenting my experience, and learning from teachers about herbs, fruits, and the shamanic tradition of Colombia, including drinking Yaje with a traditional healer. Exploring the diversity of fruit there was amazing! And if you feel that this work resonates with you, and you would like to help please consider making a donation. Do you travel to other parts of the US to teach and learn in these areas? Hey Diana, Yes i have been to colombia and india, and plan to travel the world, documenting and filming the worlds remaining medicine traditions!